When Stéphanie and Caroline Tatin first created this dish one hundred twelve years ago, I doubt that they knew how incredibly popular it would become. This is what French cooking is all about: simple, everyday ingredients, prepared thoughtfully, elevated to something extraordinary. 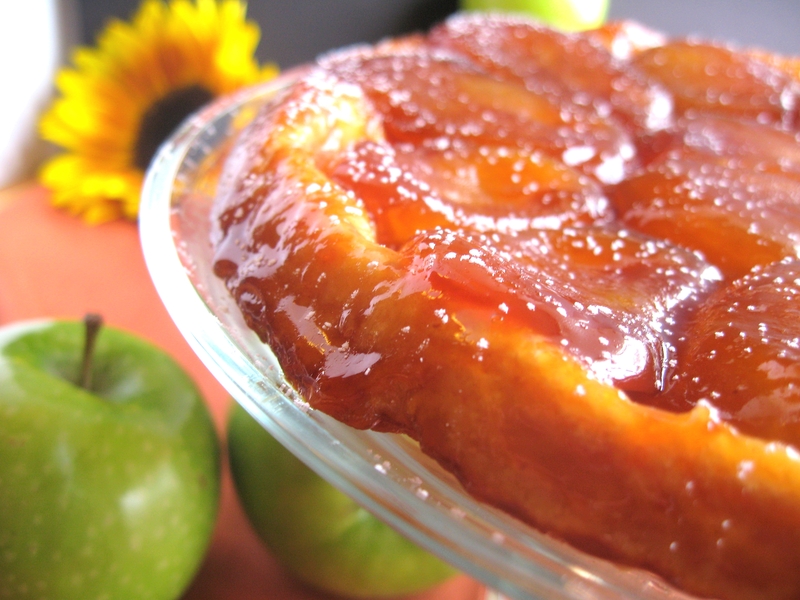 Apples are caramelized in sugar and butter, covered with a flaky pastry crust, and baked. When it is still hot out of the oven the tarte is inverted onto a plate revealing the unctuous, golden, amber prize underneath. This is another one of those classic, impressive dinner party desserts, that are, in reality, inexpensive and very simple to make. 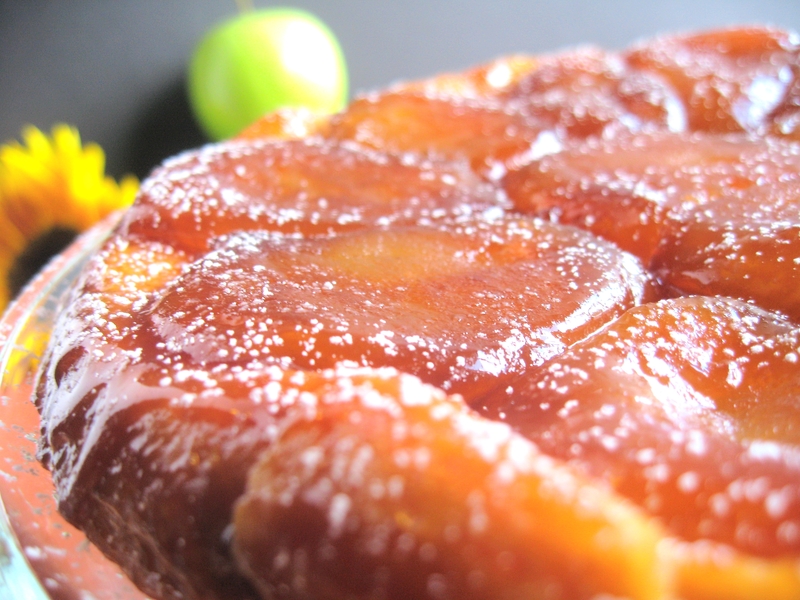 It is crisp, buttery, sweet, tart, and caramelized. Serve it with a scoop of your favorite vanilla ice cream and you and your guests will devour ever last morsel. Enjoy! 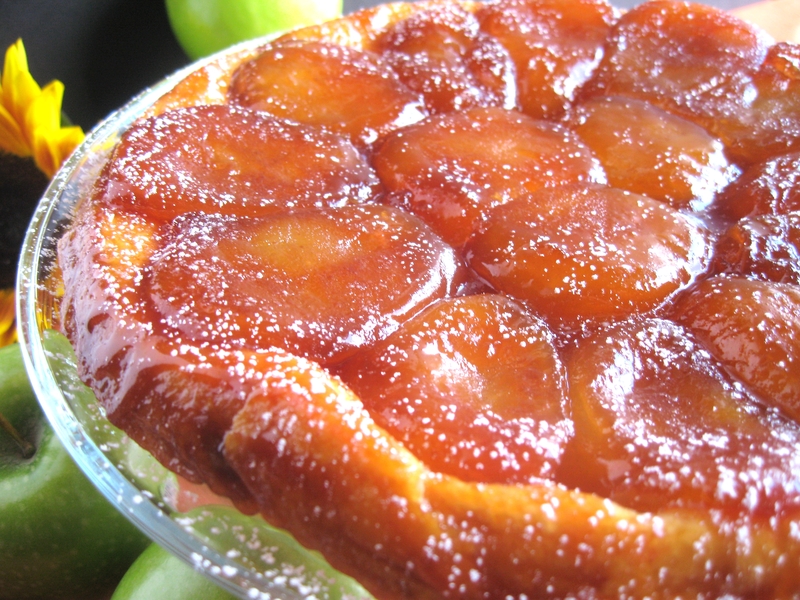 I fell in love with Tarte Tatin on my first trip to Paris! This looks wonderful! 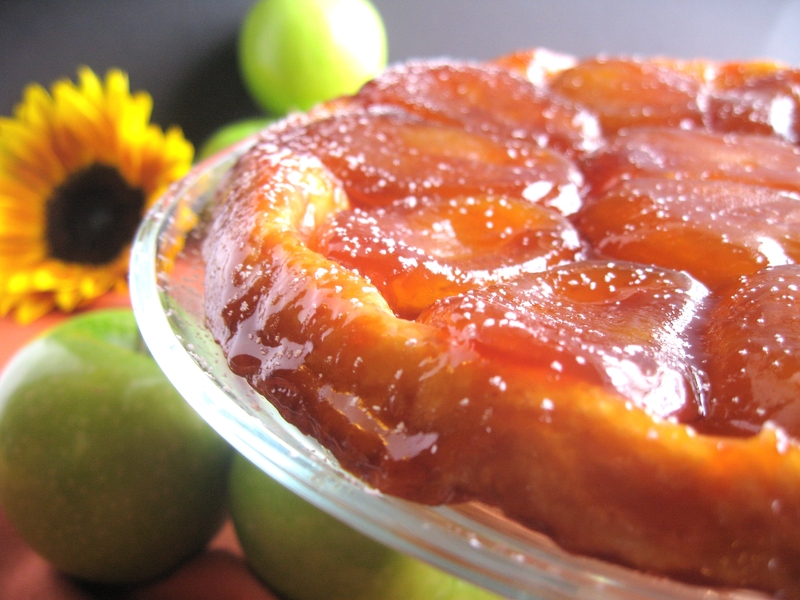 I haven’t had tart tatin in so long. I think it might be time to make it again. Great post, one of my all time favorites…Your looks perfect! One correction… not just any vanilla ice cream; use Breyer’s Vanilla Bean Ice Cream. And a suggestion… make three times what you thin you should, because everyone will want seconds, and then thirds! Going to make it for my family tomorrow for Thanksgiving! I have all the ingredients… Hope mine looks as good as this one !